Aging services in Virginia, like other states, is constantly changing and evolving to meet the needs of a growing older adult population. In this program, Commissioner Hayfield will provide an overview of agency programs and initiatives, while discussing state concerns and future directions. About Kathryn A. Hayfield: Kathryn A. Hayfield was appointed in 2018 by Gov. Ralph Northam as Commissioner of the Department for Aging and Rehabilitative Services. 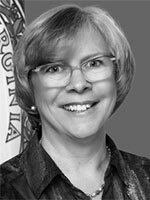 At DARS, she leads the agency’s efforts to provide and advocate for resources and services to improve the employment, quality of life, security, and independence of older Virginians, Virginians with disabilities and their families. Prior to her appointment, she served as Assistant Commissioner and Director of the Division of Rehabilitative Services at DARS, overseeing efforts to promote and secure employment of Virginians with disabilities. She is also one of the more than 1 million family caregivers in Virginia. Ms. Hayfield holds a bachelor’s degree in social work from Lock Haven University and a master’s degree in rehabilitation counseling from Virginia Commonwealth University. What do you want to achieve in your life? Most of us want to be remembered by our positive character traits and the impact our life and work had on others. The best time to work on those qualities is now. In this hilarious and insightful presentation, participants will learn how to make their lives, their work, and their relationships less stressful, more fulfilling, and more fun. 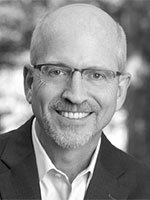 About Ron Culberson: With a master’s degree in social work, Ron Culberson, MSW, CSP, CPAE spent the first part of his career working in a large hospice organization as a clinical social worker, middle manager, and senior leader. As a speaker, humorist, and author of four books including, Do it Well. Make it Fun. The Key to Success in Life, Death, and Almost Everything in Between. He was the 2012-2013 president of the National Speakers Association and is a recognized expert on the benefits of humor and laughter.